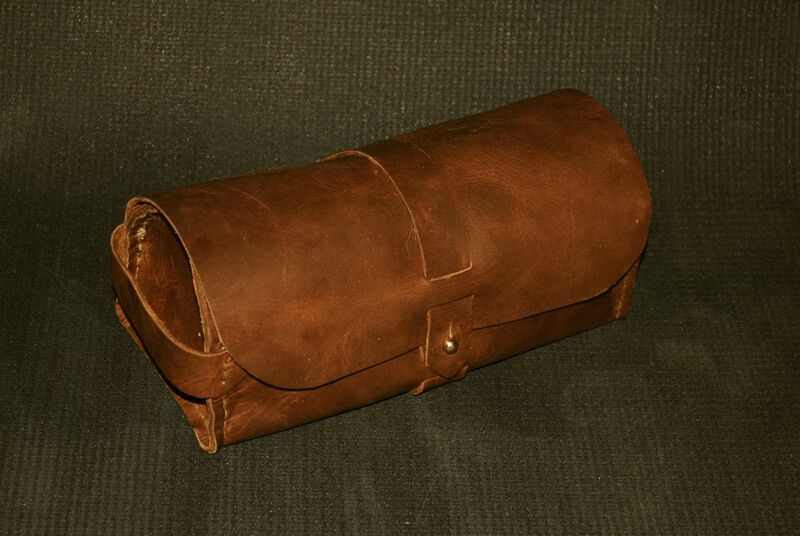 A small toiletries bag made from a wax-impregnated leather. The design is essentially that of a very small 18th century portmanteau. Included here are some of the basic tools-of-the-trade for scale and perspective. 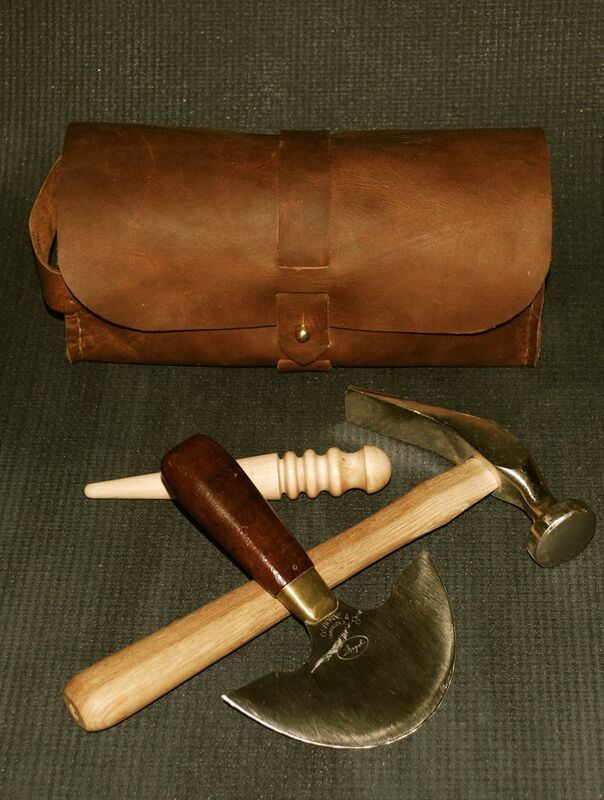 I think leather work is appealing to me, in part, due to the honest simplicity and lack of power tools. Most projects can be accomplished with a sharp knife, straight-edge, awl and some stitching needles. This certainly is not anything fancy but it will do the trick. Simple and Good! That could be a good brand name. 9 1/2″ long by about 4 3/8″ wide and 4″ tall.